Have you got air conditioning? When was the last time you had the air conditioning filter replaced? If you can’t remember or do not know then you are in the right place. Today we are going to be giving advice on why a clean filter is important and the replacement signs you need to look out for. Air conditioning and the filter it uses affect your air quality and comfort. It is important to keep your air conditioning in its best condition and to keep the filter clean as you breathe in the air it puts out. Here are some of the main reasons why a working, good quality air conditioning filter is important. Air Quality – The filter removes contaminants from the air. It does so by removing them from the air before it makes its way back into your room. When the filter is dirty it will not be able to get rid of the contaminants efficiently. This will mean that the air you are breathing is not as clean as it should be which can cause issues with allergies and your health. Not only that but the rooms with the dirty air con may not feel as clean as they should. Performance – When the filter is dirty it will cause the air conditioner to over-work which can cause the appliance to break. To ensure your air conditioning is working at its best then you should keep the filter clean. Energy – When the air conditioning has to work harder it will cause your energy bills to rise. A clean filter will ensure that your machine uses less energy. Dust – While some dust is natural and normal you may start to notice an excessive amount. If this is the case it could mean that your air conditioning filter is not doing its job. The dust occurs because a dirty filter cannot filter the dust. It will instead push it out into the vents which results in more dust than usual. Grey Coloured Filter – It isn’t just the dust around your home that you may notice. If you look at the filter you may see that the filter is a grey colour. The grey colouring is caused by dust and dirt build-up. Time – After your air conditioning insulation, the time a filter lasts does depend on the quality and the filer itself. Generally, though most filters work efficiently for up to 90 days. Think back to when your air conditioning filter was last replaced and if it wasn’t in the last three months then it is time for a change. Longer Cycles – If your cooling or heating cycle is longer than it usually is this could be due to a dirty filter. Higher Energy Bills – When the filter is dirty it means the air cannot pass through it properly. This results in your air con having to overwork. If you have noticed that your air conditioner is working harder, and your energy bills have risen then check your filter. It is beneficial for your bills, your health and for the life of your machine to keep the filter clean. 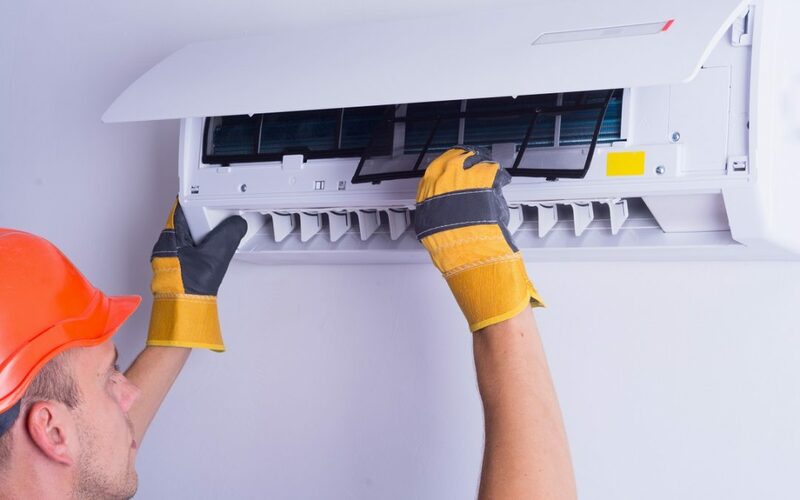 Changing your filter is not only good for your ac unit but you will notice that your air becomes cleaner, meaning a happier and healthier home environment. To learn more about air conditioning installations, contact Apex Airconditioning today!